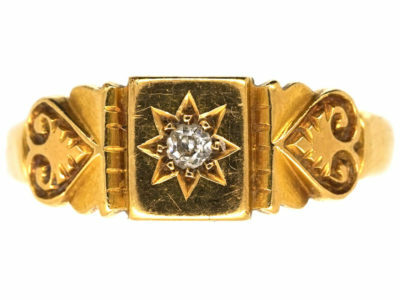 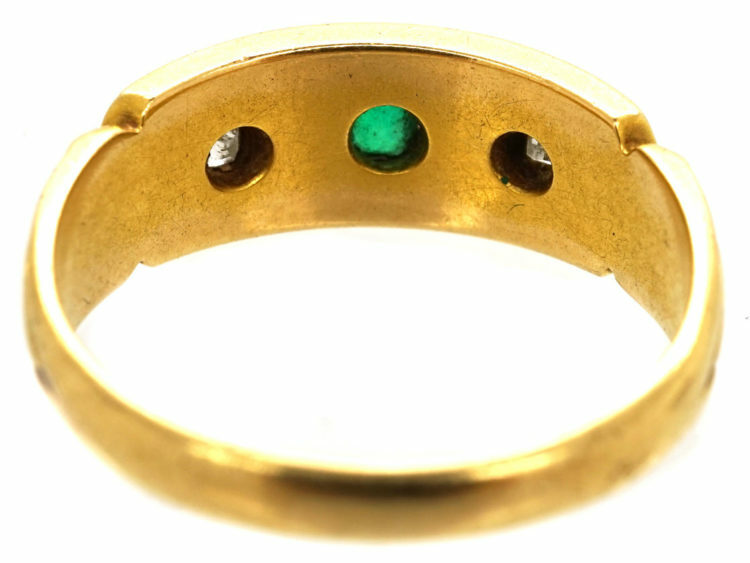 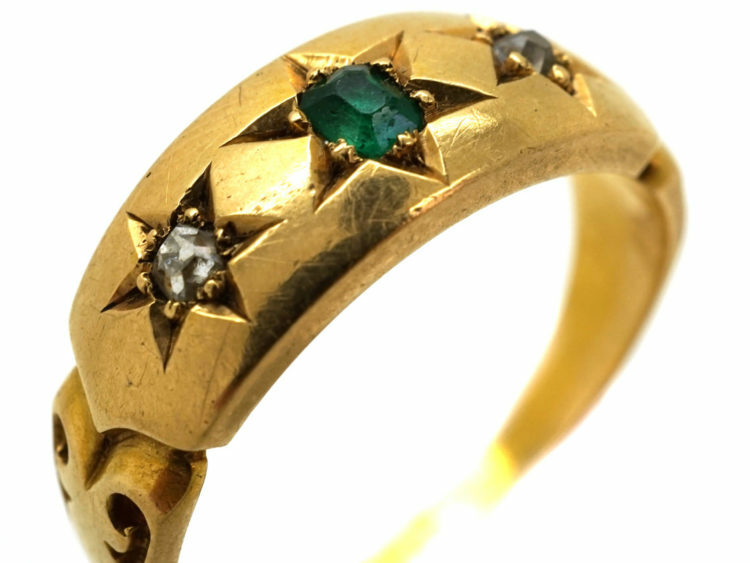 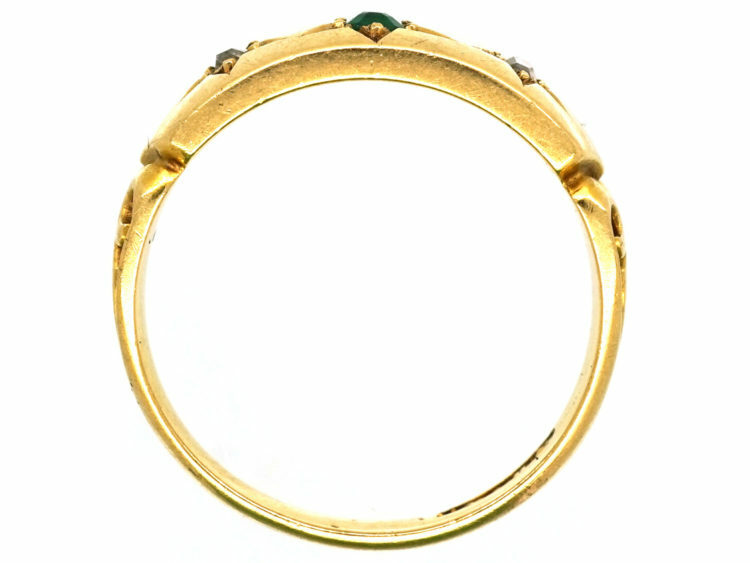 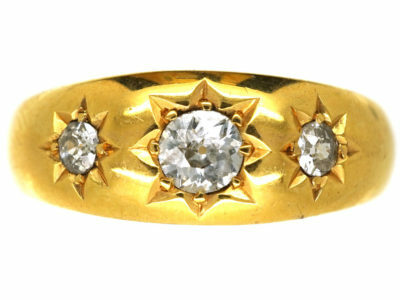 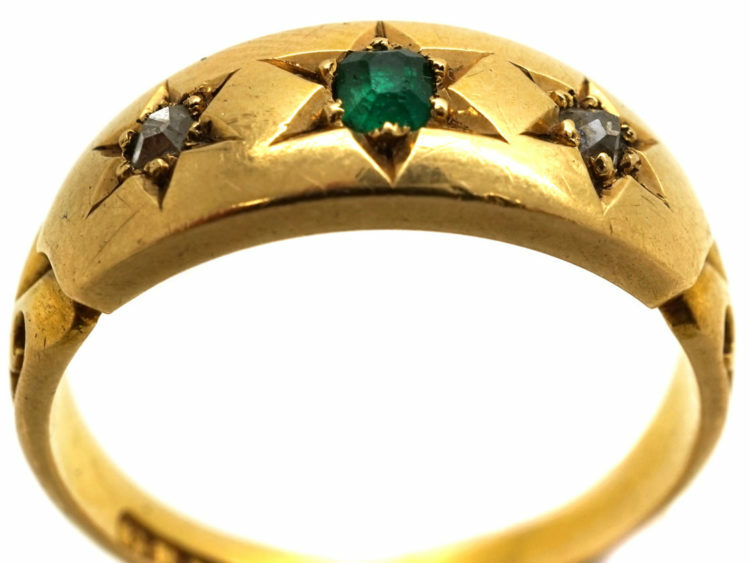 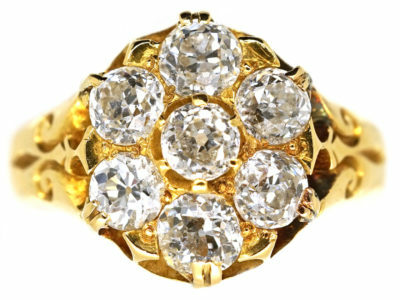 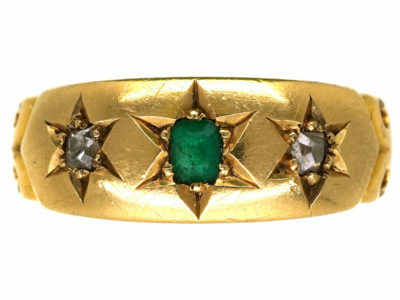 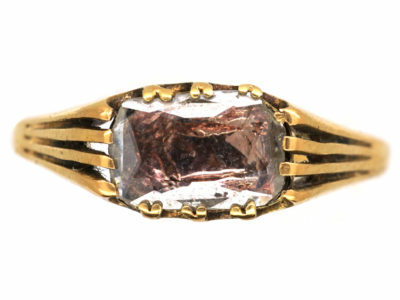 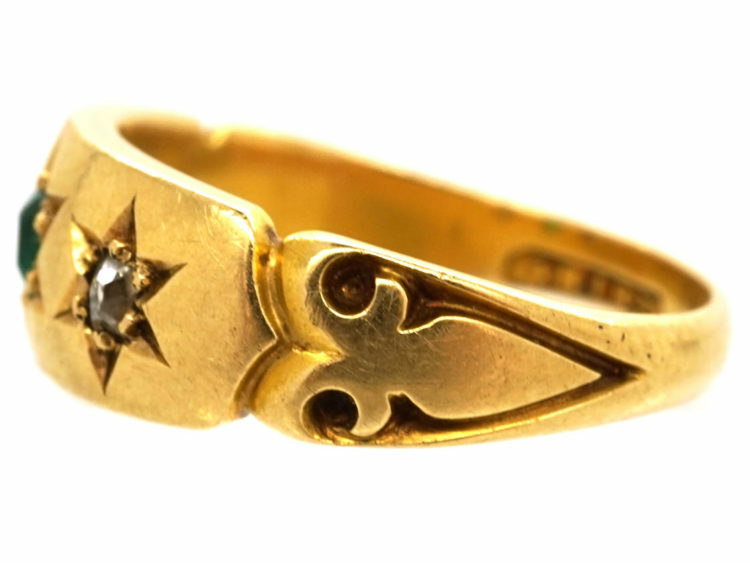 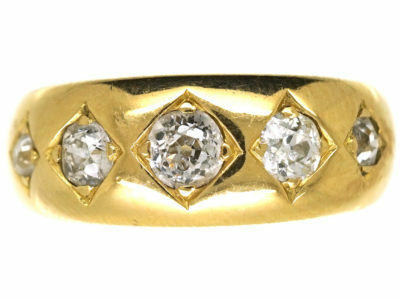 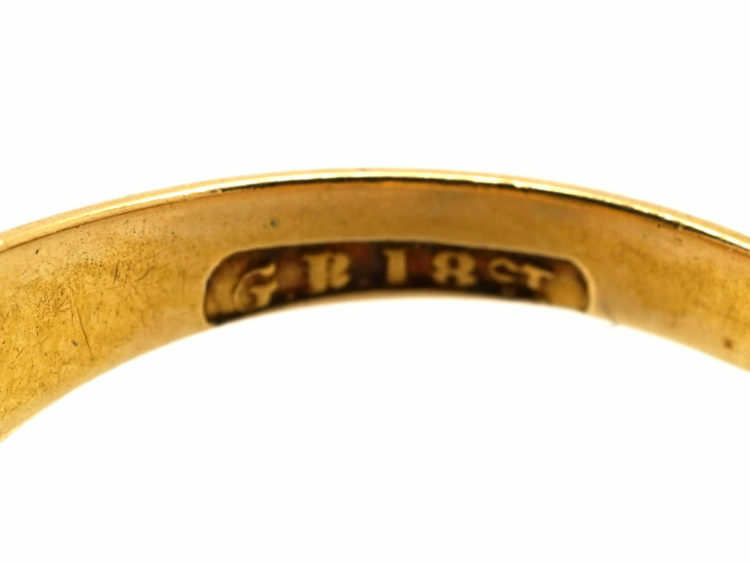 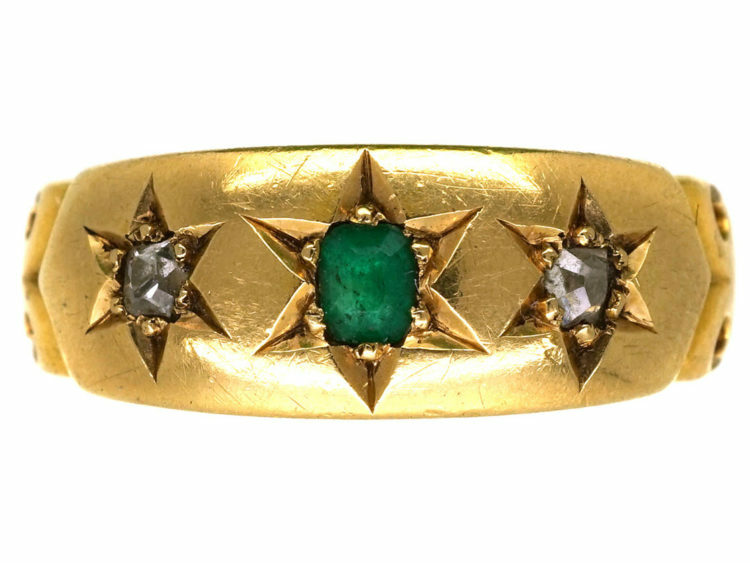 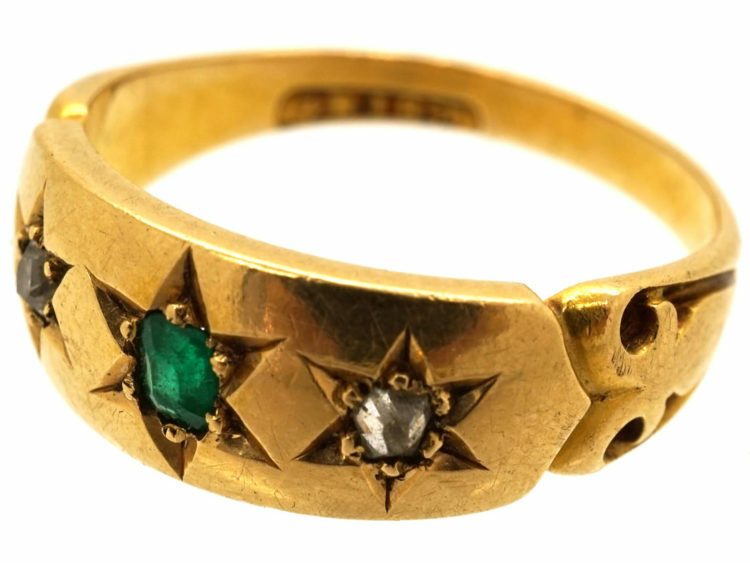 A late Victorian 18ct gold ring with decorated shoulders that was made in the 1890s. 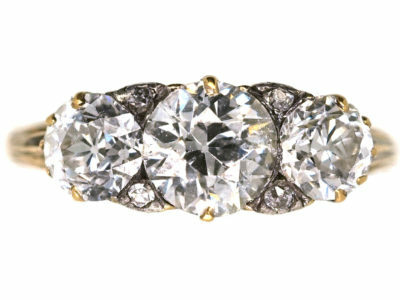 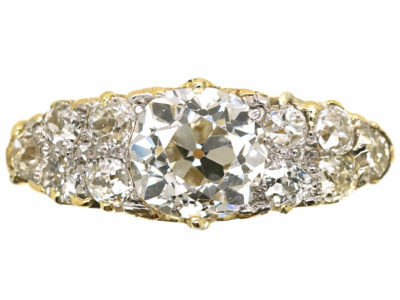 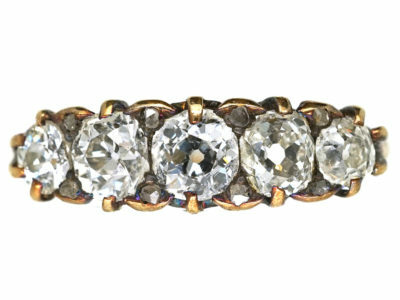 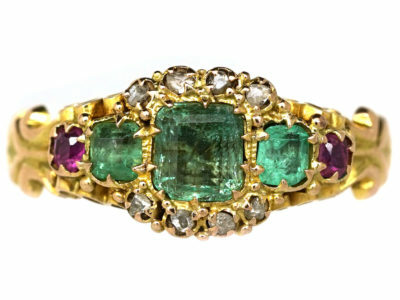 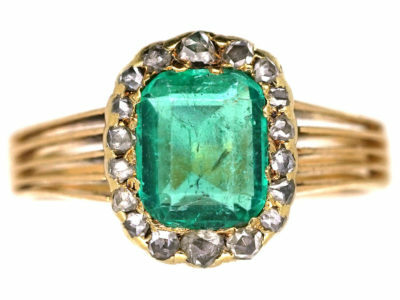 It is set in gypsy style settings with an emerald and two diamonds. 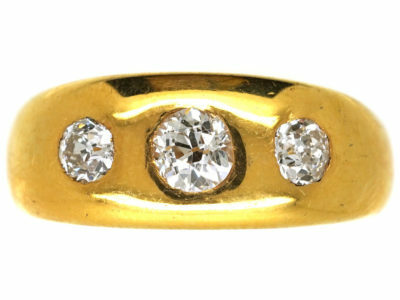 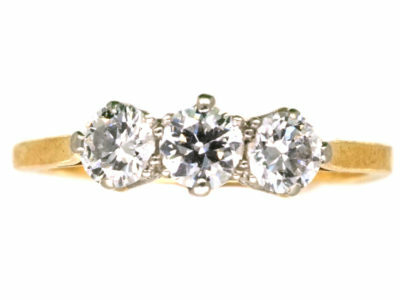 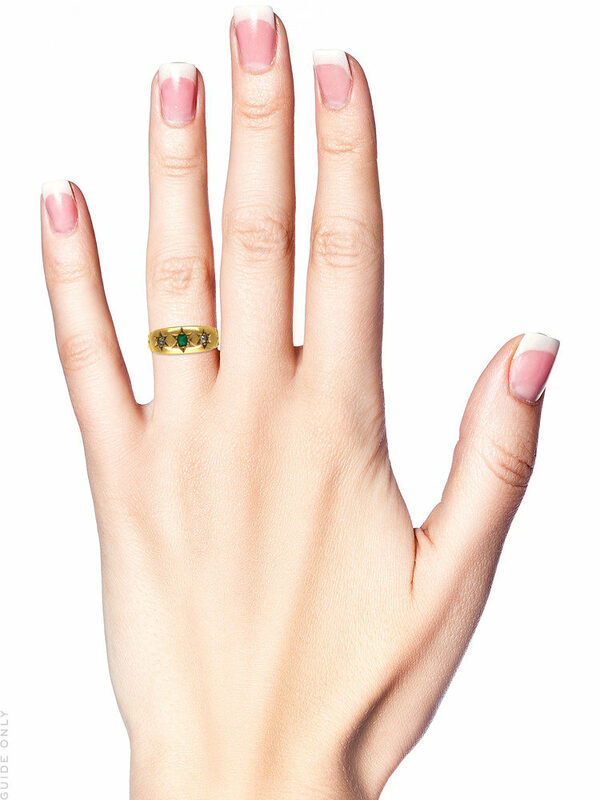 A good every day ring that can be worn on its own or with other rings.